My work is inspired by other cultures and other artists work. I also love to paint portraits, and most recently I painted a portrait of my friends dog. My paintings are inspired by the people around me, and by things that I have experienced in the past few months. Painting is an outlet for my feelings, and it helps me express myself. My most recent drawing was inspired by the movie The Dark Knight, and I did this drawing in honor of Heath Ledger. I am most inspired by people in general. Every piece of art I make is unique, and in my opinion diversity is key. I try and reflect this in the images I choose to paint. Art inspires met o be myself and show my creativity. I like art because it makes me forget about all of my troubles and feel free. 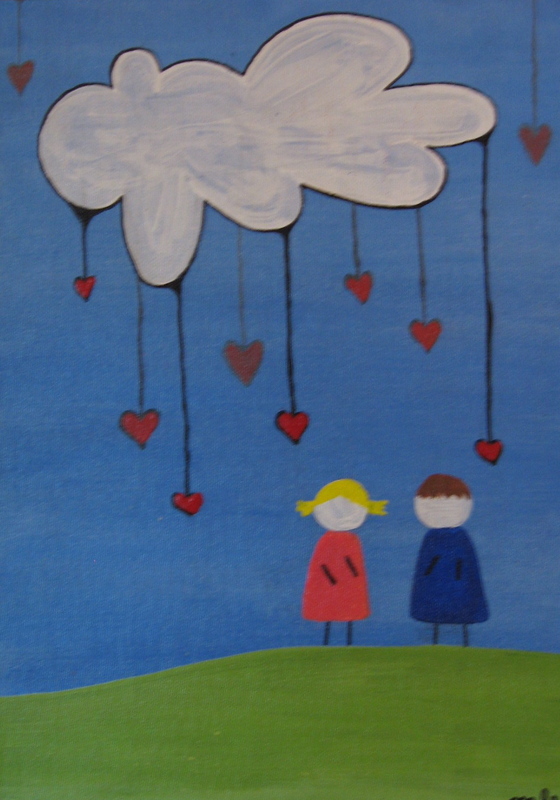 I like to make paintings that are simple, cute, and fun. I love mixed media, and like to use bright colors in my paintings.